Your second home. In the mountains. 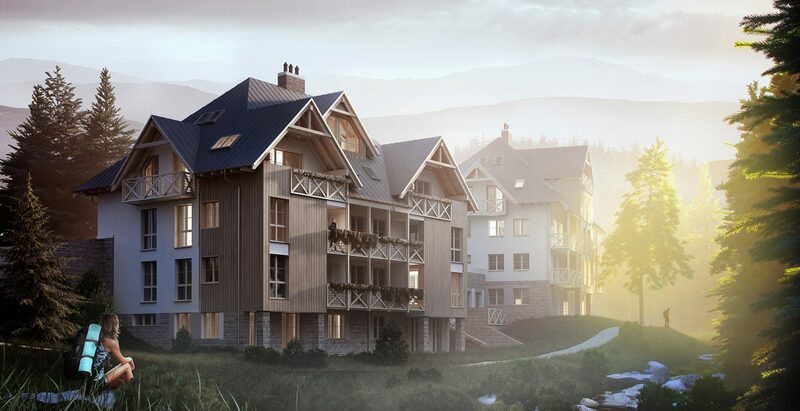 Trio Harrachov consists of three apartment houses designed by archiSPACE, the studio of architect Michal Kasík, who was inspired by the typical architecture of Krkonoše mountain cabins. The three buildings, nestled in a quiet valley of the Kamenice River, combine modern and classical elements, yet have managed to maintain a traditional appearance. The homes blend seamlessly into the minimal housing development in the immediate area. Each of the three houses contain 13 attractive south or south-east facing apartments. Most have a terrace, a balcony, as well as their own parking space. Each apartment has its own cellar unit. The apartments are the perfect place in the mountains to get away to, whether you are an individual who loves to exercise or a family who likes to ride bikes together, go cross-country skiing, downhill skiing, or play other sports. Located within the territory of the Krkonoše National Park, they are also ideal for those who are looking forward to a long walk in the woods to destress after a demanding week at work. Due to Harrachov’s popularity as a winter sports resort, the apartments can also be rented on a short-term or long-term basis. 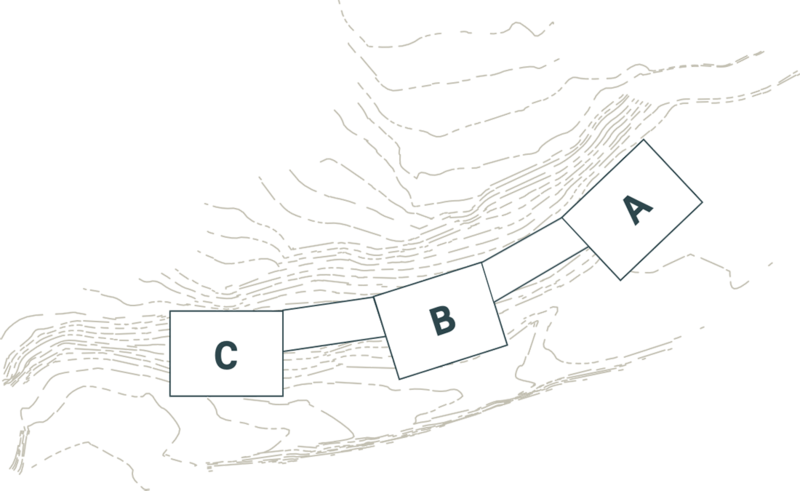 The date of completion of the project depends on the weather conditions in the mountains. Ideally, the units in the first residence will be handed over before Christmas 2019, or no later than in the summer of the following year. The remaining two residences will be completed in the fall of 2021. 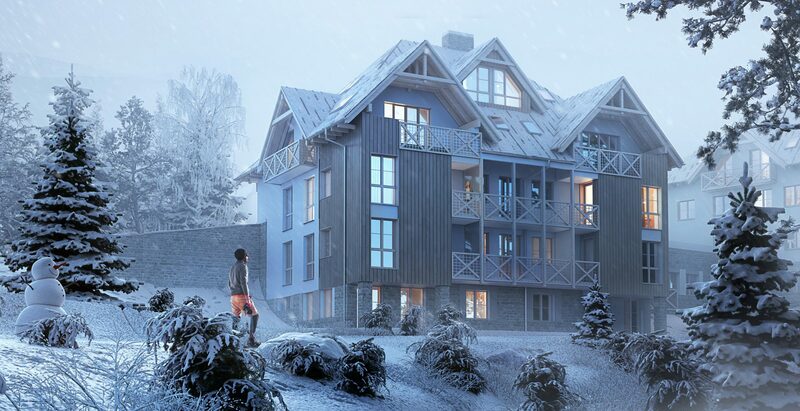 „Apartments in the heart of Harrachov, with a view of the forest and the picturesque Kamenice river. The ski lift and ski slope is 200 meters from the property, the bobsleigh track and the Vertical Park is not much further away, there is an excellent restaurant in front of the house, and the main promenade is around the corner. The apartments offer a home that is peaceful, but also encourages an active lifestyle. The project’s concept is based on the original architecture in the region, and will feature modern details and materials.